Think about projection technology in a whole new light! 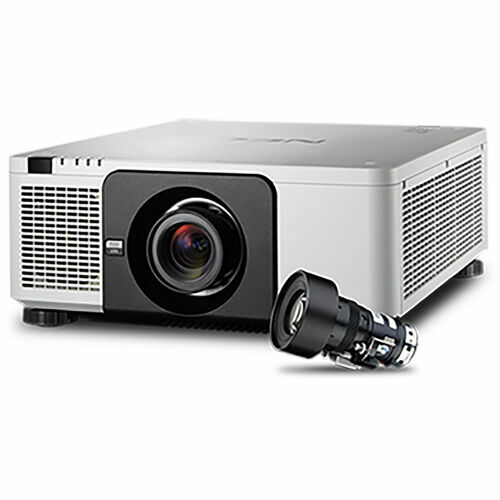 The NEC PX803UL is a powerful installation projector with a laser/phosphor light source that makes it perfect for all-new applications. This bundle includes th NP18ZL zoom lens. With more consistent brightness, improved color fidelity, and tilt-free or portrait modes these projectors will deliver in new verticals such as retail, simulation, and theme park installations. Furthermore, the laser module delivers 20,000 hours of virtually maintenance-free operations, reducing your total cost of ownership!